France-based street artist Mantra transforms multi-story buildings into gigantic butterfly specimen cases in a series of clever, trick-of-the-eye 3D murals. The enormous, hyper-realistic butterflies appear to be set within wooden-framed boxes, recessed into the side of each building. Long shadows and subtle details, which suggest a transparent glass surface, create a convincing level of depth that helps to enforce the head-turning optical illusions. Not all of Mantra’s butterfly murals are painted outside, though, and not all are depicted as preserved specimens. Some occupy rooms within abandoned buildings, taking position against a wall, or standing out from a corner. So far, his butterflies have appeared in Spain, Austria, France, and Bogota. Mantra’s illusory murals don’t end with butterflies either; he’s also painted cats, birds, and reptiles, as well as other insects, such as moths, beetles, and (in one instance) a monstrous spider, creeping out from a “crack” in the side of an apartment block. 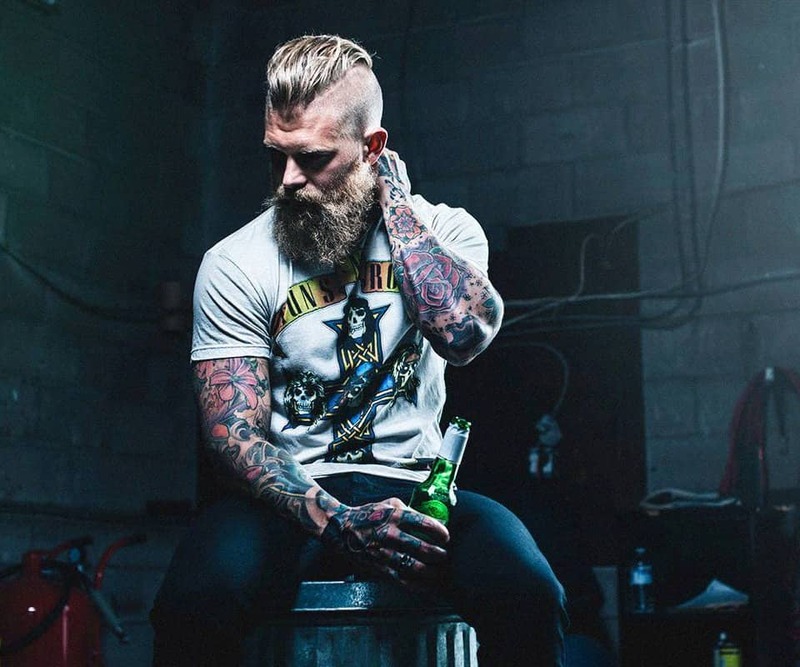 Keep up to date on Mantra’s latest work by following him on Instagram. 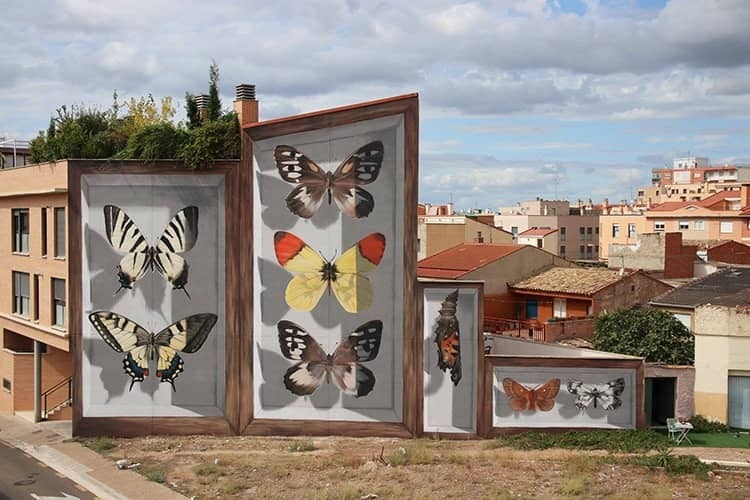 Street artist spray-paints murals of hyper-realistic butterfly specimens. In July 2017, Mantra painted this mural, entitled Yasuni’s Imago, onto a building in Thionville, France. Watch Mantra create one of his illusory Murals. The post Street Artist Turns Buildings into Gigantic Butterfly Specimen Cases appeared first on My Modern Met.